how do you install addon scenery? 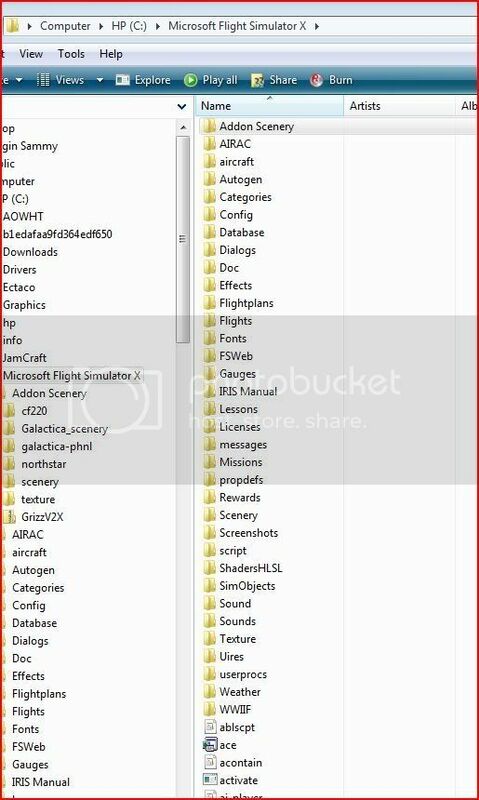 Look for the Readme file inside the .zip folder somewhere. The Readme should contain Installation instructions. 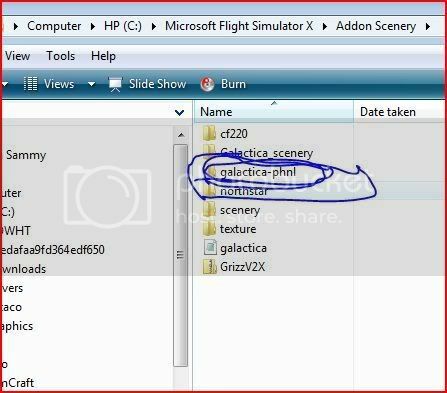 - Start FSX and ADD the scenery Area; "galactica-phnl", in the normal manner. Galactica DOES NOT contain a platform in the bgl model. so try to stay on the landing strip. .. . .. . .. . .. . .. . .. . .. . .. . .. 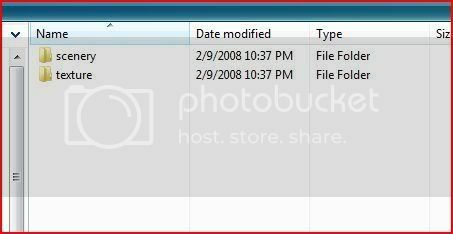 According to that, you have twice added the complete Addon Scenery folder, see Priority 1 and 5. It was written for FS2004 but the same method applies to FSX. To activate the scenery, run the sim & click SETTINGS/Scenery Library. Click the Add area button. 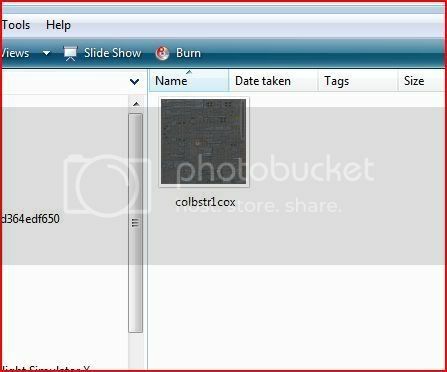 Browse to the Addon Scenery folder & select the parent folder of the scenery you just installed. Click OK. The scenery is now installed & activated. After doing this in FS9 you will see this warning. Simply click OK, exit the sim & restart it for the new scenery to display. This is clearer and more concise than I could explain it to you. If you're still having problems, come back and ask.